If you missed our 2-day seminar session with Dr Amin in July 2015, we are delighted that an exclusive recording of the event is now available to pre-order. Dr Amin is an internationally recognised authority in the field of parasitology, with more than 200 major articles and books published in American and foreign professional journals on human and animal parasites. 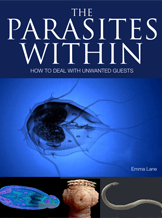 To pre-order please email enquiries@parasitetesting.co.uk. The recording is priced at £49.00. The Practitioner Training Evening session introduces the parasite, bacteria and fungal tests available from PCI Europe along with results interpretation. This session is free of charge and previous attendees to the session are welcome to recap their knowledge. The two-day course will explore these pathogens and how their presence can lead to gastrointestinal issues and poor immune function as well as causing tissue and organ damage and disease. If you would like any further information please also e-mail us on enquiries@parasitetesting.co.uk .